First off, wish you all a very Happy New Year! 2017 was a very eventful, and epic year for me: I quit my job to pursue my interests in the field of Travel, biked 3,688.9 kms for 81 days in the Himalayas carrying my tent, managed to trek up solo the Mount Everest Base Camp, found mentions in the media, and ended the year with the formation of my own company! I am so grateful for all the forces which worked in my favour, and the love that I received. As I enter into the new year, looking back at the good memories and highlights of the yesteryear seems like a good idea for some positive thoughts and energy. I continued and matured with the same slow and unplanned style of travel where I just set out to the open road, and managed to do some long bike rides, adventures, explorations and treks keeping to the same theme! Gurgaon – Pune (1,800 kms): Towards the beginning itself of 2017, I rode my bike the 1,800 kms from Gurgaon to Pune! It was a solo ride, lasting 5 days and innumerable adventures! Sitting on a bridge over a dried river on my way to Kota, Rajasthan, writing my thoughts while my bike was parked next to me, and sleeping in the courtyard of a small temple very close to a graveyard by the banks of River Narmada definitely feature in the highlights of that ride. You can read more posts from that ride here – Link. Himalayan Odyssey (3,700 kms): You know about the hand-me-downs which pass from the elder sibling to the younger? 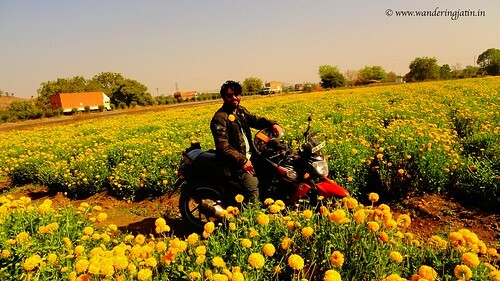 That’s what had driven me to ride from Gurgaon to Pune! Here, it was the passing of the bike, haha. I flew back to Delhi from Pune, and upgraded myself to a bigger bike, and took it to the Himalayas. For 81 days! That was a soulful journey the grandeur of which words might fall short to express: riding away through the clouds, camping in Parvati, Manali, etc., and sitting and writing next to the flowing rivers are just some of the warmest memories from those cold places that I carry. You can watch the videos I uploaded from my Himalayan Ride here – Link. Delhi – Ahmedabad (947 kms): Just served the happy role of Transporter on this one! 947 kms. 28 hours. 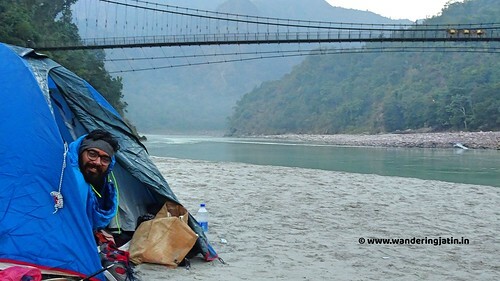 Himachal and Uttarakhand: I had welcomed 2017 camping at the banks of River Ganga, making Maggi on the campfire listening to Rahman’s melodies while a billion stars watched over us. 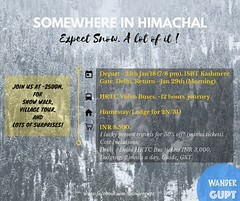 Soon after, I made another trip to Himachal in the snow. This was a very slow travel where I spent many days in a small village, making friends on my walks into the village which was mostly blanketed in snow! 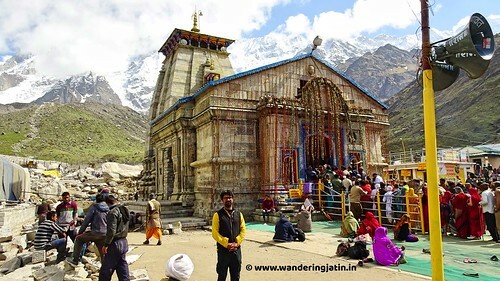 Kedarnath Yatra: On my Himalayan Odyssey, I trekked to Kedarnath Jyotirlinga. My fascination for Lord Shiva took me there, and it was a very moving experience! With my trek to Kedarnath, I have now paid my visit to 11 of the 12 jyotirlingas, something I consider myself blessed for. 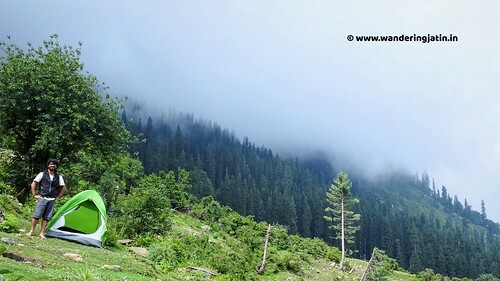 Deo Tibba, Parvati, etc. : I had the itching to do the EBC trek sometime later last year. Having set that want within, I started to get myself physically ready for the trek even though I didn’t have ay dates in mind or plans about how I was going to execute it. 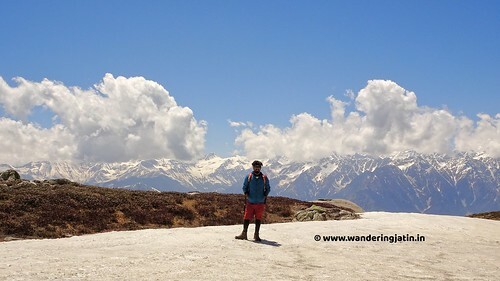 You might be surprised to know that on my Himalayan Odyssey, I trekked close to 150 kms in all, to prepare for EBC. 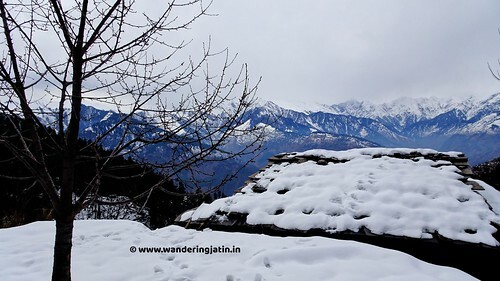 This includes Kedarnath Yatra, Mt Deo Tibba Base Camp at ~4,000 ft and explorations in Parvati valley. 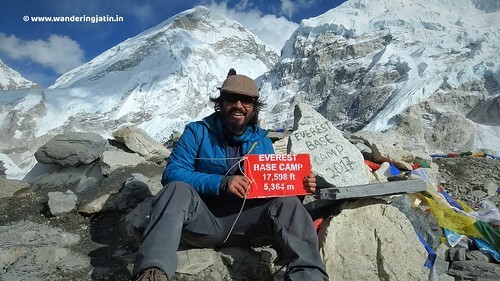 Mount Everest Base Camp Trek: I can mention this in bold, capital and italics for the pride I feel to share that I managed to trek up solo the Everest Base Camp at 5,346m and Kala Patthar at 5,550m! It was my longest, coldest and toughest trail, which brutally tested my limits, even more so because the altitude had got me around 5,000m. But I did it! Playing a game of patience and persistence, I managed the trek, highly ecstatic and carrying the broadest of smiles. I traveled to North East India after a long time, to Assam and Meghalaya, and it made up for some good time spent with family. I backpacked for almost 20 days in the backwaters in Kerala hopping one village to the next, just before going to Nepal. It’s funny to think that I was walking for hours on end in the regions below sea level in Kerala to prepare for the altitudes above 5000m! 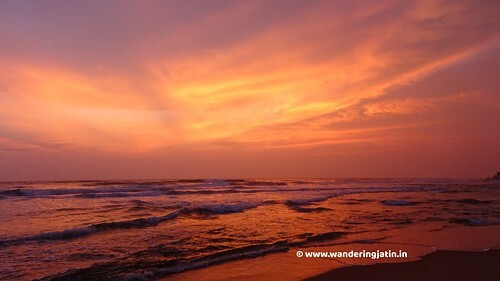 I cherish fondly my evenings spent swimming in the Arabian Sea while the Sun went down in Varkala, Kerala. I had another backpacking trip to Coastal Gujarat along the Indian border in the last year – some very nice yet unheard of places, there. 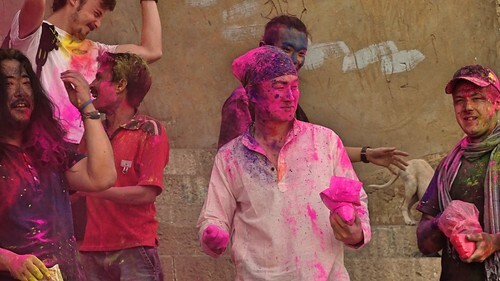 And yea, I went to Banaras for Holi! Yo! Major events in the last year. I finally quit my job in the last year, as my want for traveling weighed over the financial stability of my desk job. I have always said that I absolutely loved my job, but as it happened, I outgrew it, and wanted to eliminate the time factor from my travels. I decided to not be a Travel Blogger anymore. Keeping to my writing style and travels, it made more sense to call myself a Storyteller instead. I will be having this Blog – yes, and I will be writing about my Travels – yes, but my writings will be centred more on the Storytelling style. Also, I founded my own company in the last year. Yep! Wander Gupt (OPC) Private Limited. This news has been doing the rounds on Social Media for sometime now. It is my initiative to bring my kind of travel style to you. 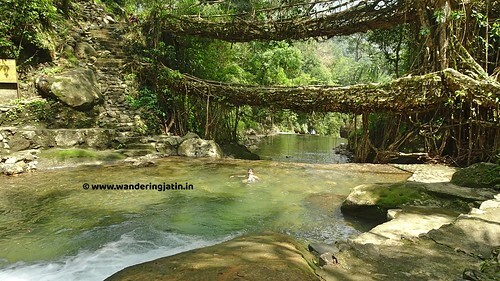 I will share more details about it very soon, for now, you can connect here (Link) and join me on the first trip through Wander Gupt, already live! Very heartwarming to see my hard-work getting recognised, this makes me so much more grateful for everything! I delivered a Talk on my adventures in the Himalayan Odyssey at a Travel cafe in Ahmedabad. The fact that it turned out to be a full-house upped my happiness even more. I also delivered a talk on FM 104 in Ahmedabad with RJ Ekta, which was a new and nice experience! Here is the link (Link) to the recording, if you would like to listen. Wandering Jatin also found mentions in Sandesh, the leading local newspaper in Gujarati (e-link). Before I leave you with the pictures from 2017, I send you many more wishes of the New Year. I wish you joys, inner happiness, and the courage to take the necessary steps to be able to lead the life you want. And in the end, I hope that you continue to extend your endless love and support to me. Here is to an exciting and awesome 2018, cheers! 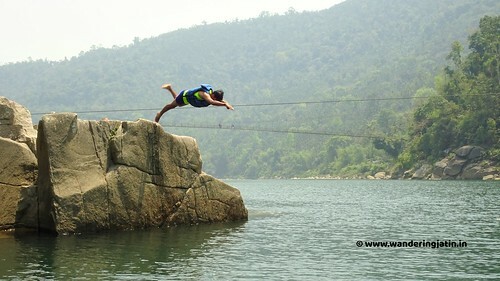 Really it needs lot of courage ot follow one’s passion…hats off for that! 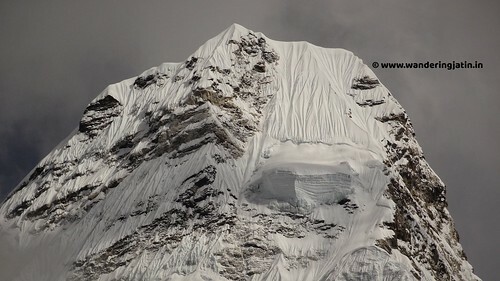 Your passion for travelling and exploring different places is really fascinating and astounding..be it the 1800 km solo bike ride or solo trek upto Everest base camp. And the pictures.. nature is so beautifully captured..
As i said..you are living a dream life of many people..keep travelling and writing your amazing stories ..